It's Halloween with Goodie bags to fill and costumes to press. Pumpkins will be lit for our ghostly guests. 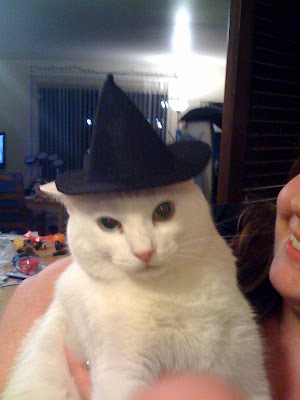 Witches and goblins will make their way to my door for their delicious reward. when I heard a funny sound. as small as small could be. with the help of bumble bees. The author, my sweet neighbor. The Parisian Give Away Heard Around The (blog) World! It's said good things are worth waiting for, I hope you'll agree. 1. Michael Miller Eiffel Tower fabric (blue) 1 yard. 2. Michael. Miller Eiffel Tower fabric (pink) 1 yard. 3. Michael Miller Bad Kitty fabric (pink) 1 yard. 4. Michael Miller Dress Forms fabric (black) 1 yard. 5. Michael Miller (Paris) Village Stroll (multi) 1 yard. 6. Patty Reed glitter La-di-Draw Dresses fabric (lavender) 1 yard. 7. One Hundred Wishes French Script Ribbon Merci 1 yard. 8. OHW Eiffel Tower Ribbon (ivory) 1 yard. 9. OHW Eiffel Tower Ribbon (fuchsia) 1 yard. 10. OHW Crown Ribbon (pink) 1 yard. 11. Fleur de lis Ribbon (pink) 1 yard. 13. Scrap Book French Travel Embellishments. 14. Vintage Style Charm Package. 15. You are the queen Rubber Stamp. 16. Fine Point mini Glue Gun, with Stand. 17. 100 ct. package Mini Glue Sticks. 18. Bouquet (8 stems) forget me nots. 19. Mini Pink Glitter Letters 73pc. 20. Bling Gem Shapes 20pc. 21. Bling Flower Shapes 20pc. 22. Iron On Rhinestone Transfer Crown. 25. Girlfriends Large (Eco Friendly) Tote. Okay, I'll give you a minute to catch your breath.... That's a pretty good start, but what about that clue...Paris Lights? Hmmmm, Well, here's the answer and a second Give Away!! Decorate your home, studio or office. Post reminders, hang some design ideas for a new project. The possibility's are endless. You can get your own Tassel from Miss Susie Harris . They're the perfect embellishment! Here are the 3 and counting in my collection. Susie is dedicated to using the highest quality fringes, ribbons and accents . I joke about her speedy delivery, but I really think she beams her packages in. Beautifully painted script plaques have been added to her line. You'll adore her and the lil treasures she creates. So, how do you enter for the drawings? Here's the rules for your initial entry. Answer the following three questions, then leave your answers in the comment section. 1.) What is something interesting ( generally not known) about yourself? 2.) What draws you back, to one of your favorite blogs? 3.) Whats your best blog advice? I will not have a closing date on the Give Away until I've contacted ALL the visitors who have come in support of my blog in it's infancy, to give them an opportunity to participate. You will continue to be entered with any comments left during the event. 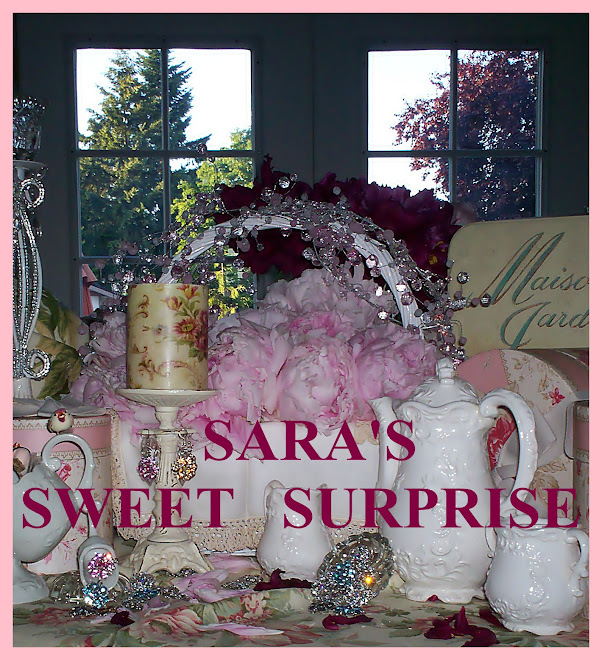 Sara's Suprise Sucre' Boutique is now open! All holidays are offered year round! Take a peek at my new Boutique. I'll be adding new inventory daily!We're still working on fine tuning the shopping cart. You can contact me if there's something you'd like to order now.